Peter and I never opened that bottle of red last night. We were on uber duty with our daughter, Erin, who was out at a party in town. Oh well, it was a fine and fun evening regardless. Besides, there will be plenty of other occasions to celebrate in 2016. 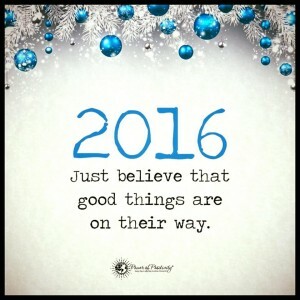 It’s going to be a BIG year, full of new and wonderful things. For me, 2015 ended feeling unsettled, with so many of my comfort zones feeling…well, uncomfortable! WAIT.A.MINUTE! What’s with that?